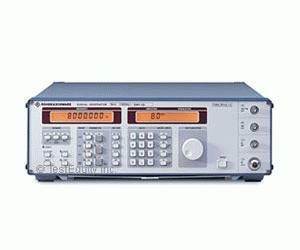 Signal generators of the Rohde & Schwarz SMY family from Rohde&Schwarz are cost-effective instruments for testing AM, FM and jM receivers as well as for component measurements. Designed exclusively for the main applications of signal generators by cutting out the unnecessaries, R&S SMY features an outstanding price/performance ratio. Thanks to its comprehensive basic features and excellent signal characteristics, it is an economical solution for universal use in lab, production and servicing environments.